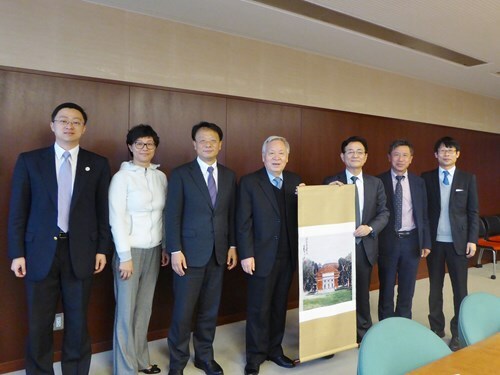 A delegation from Tsinghua University, headed by Prof. Gu Binglin, former president and director of the Institute for Advanced Study, and Vice-President Wang Xiqin visited Kyoto University on November 27 and 28, 2017. 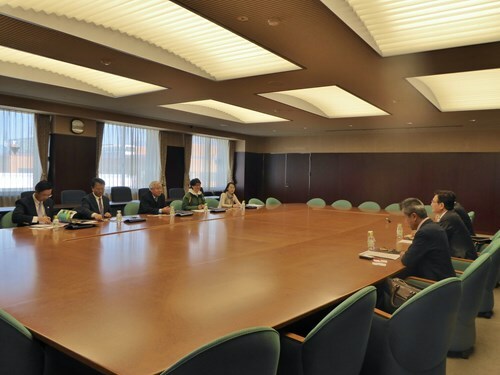 They met with Prof. Nagahiro Minato, Kyoto University’s provost and executive vice-president for research, planning, and hospital administration. They introduced their initiatives for industry-academia collaboration and area studies, and discussed the potential development of academic collaboration between the two universities. The delegation from Tsinghua University also visited the Graduate School of Asian and African Area Studies (ASAFAS), the Office of Society-Academia Collaboration for Innovation, and the Center for Southeast Asian Studies.